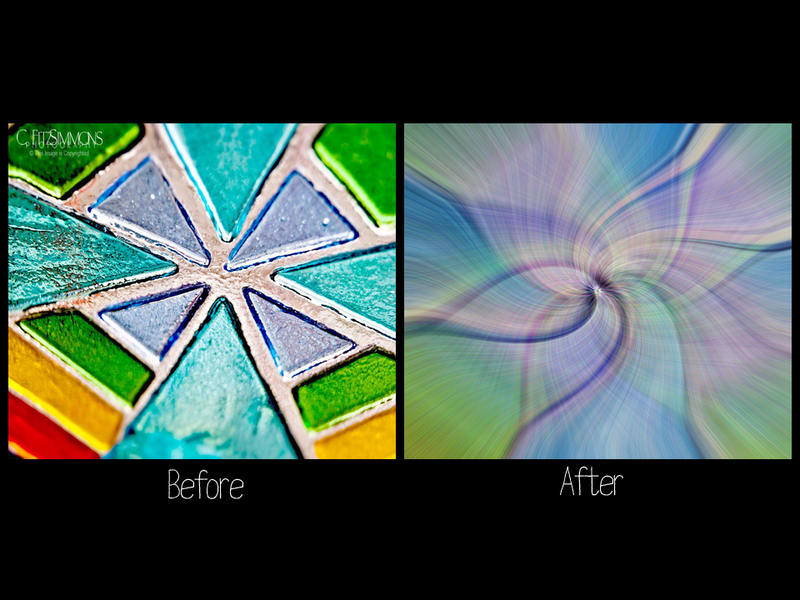 Have you always wanted to edit your photos in an extreme, or not so extreme, way but you just can’t afford Photoshop? Well! Have I got good news for you! The solution to your dilemma is GIMP! 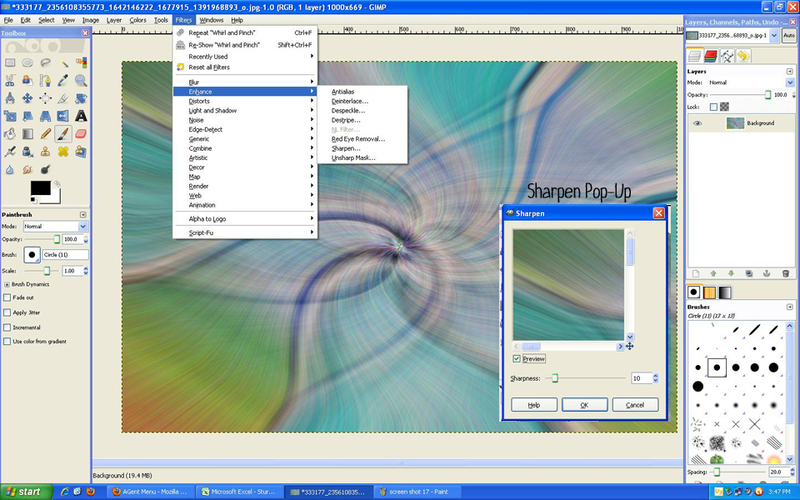 Gimp works in layers, much like Photoshop, and is able to handle most, if not all, of your editing needs. 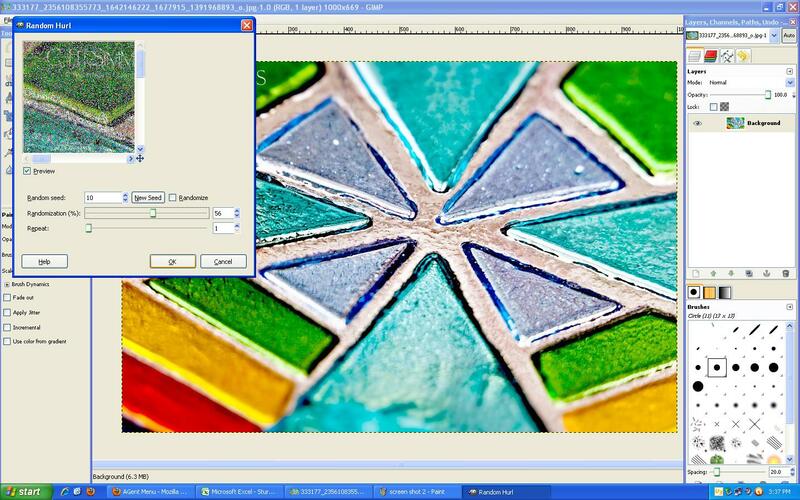 Gimp is easy to install and Gimp is absolutely free! The first thing you are going to so is go to ‘file’ and open the image of your choice from your own pictures. I chose this one because I like the colors. Also, horizontal images work the best. The second step is to go to ‘filters,’ then on the drop down menu you will select ‘noise.’ And this is when you get to hurl. Yes, hurl. To hurl correctly, you are going set your random seed at 10 and your randomization percentage at 56% and click on OK. Don’t do anything with the other settings. This is what your image will look like at this point. 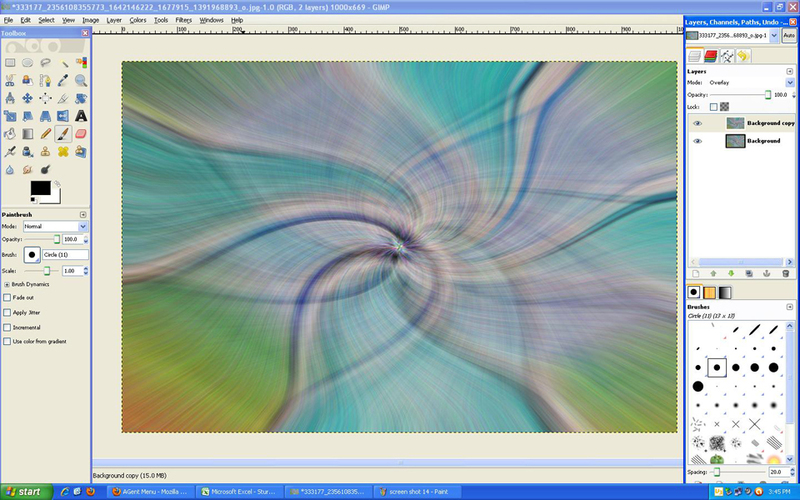 Now you are going to add a motion blur. Go back to the filter tab and pick ‘blur’ from the drop down then ‘motion.’ In the pop-up, you are going to select ‘zoom’ and set the length to right around 130. 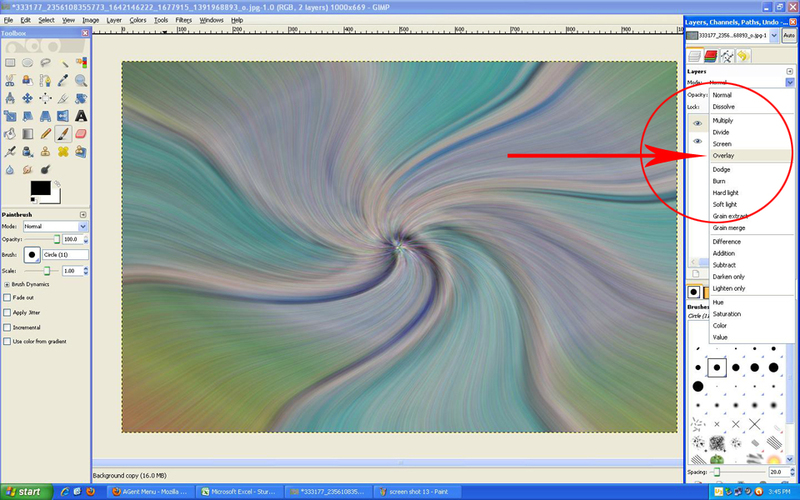 You may have to center the zoom. 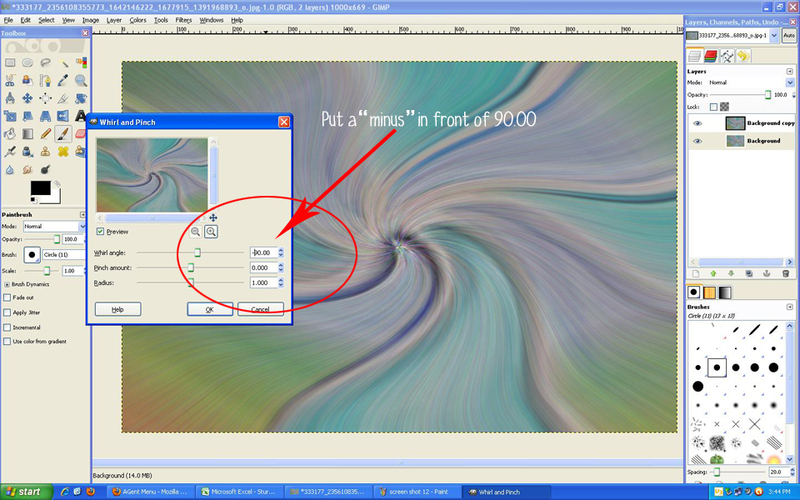 Click OK.
Now you have a nice blur radiating out from the center! 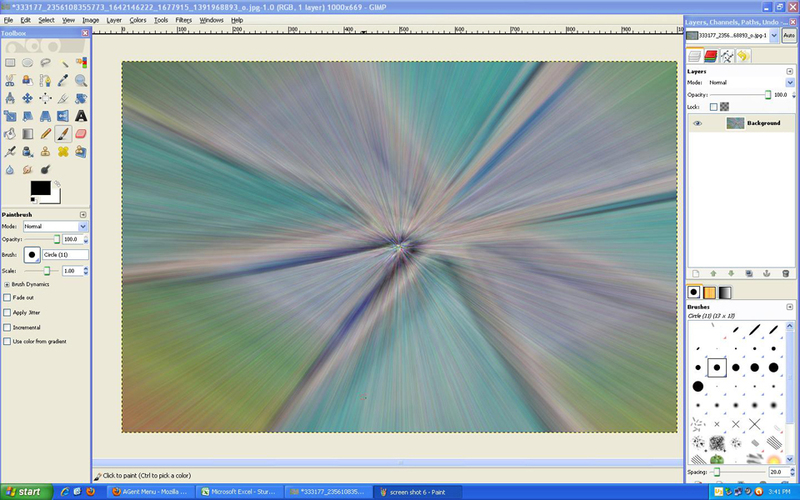 At this point, you are going to need to duplicate the first photo layer. 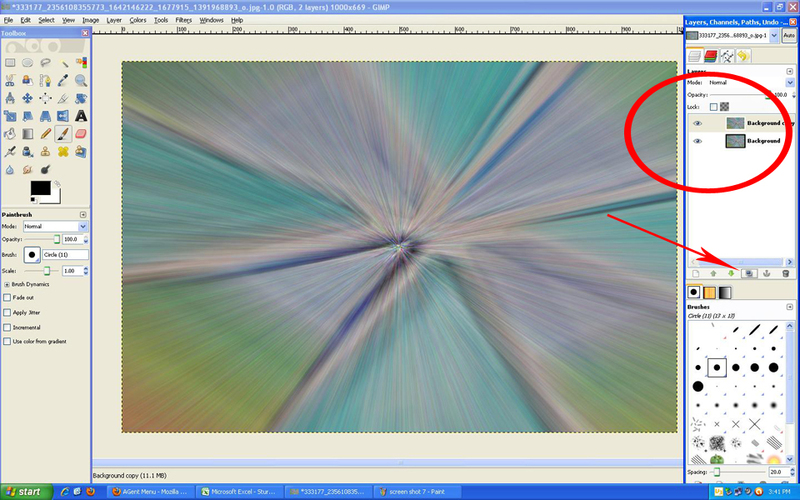 Click on the button that the arrow is pointing to in the photo. Voila! 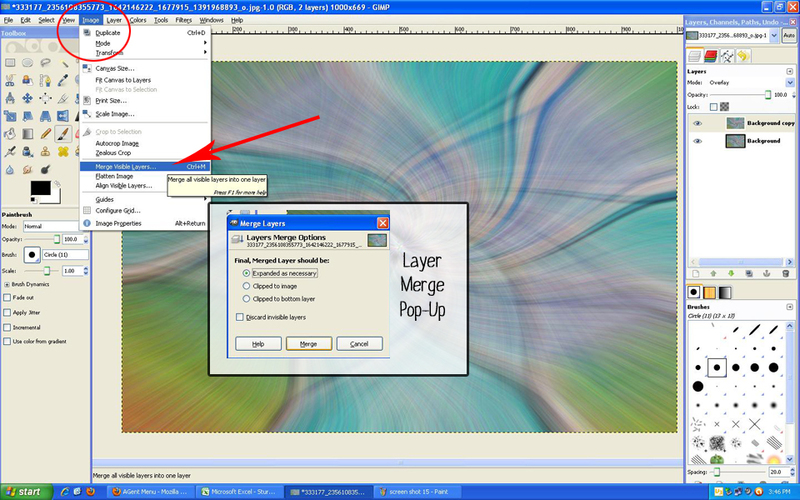 Duplicate layer! 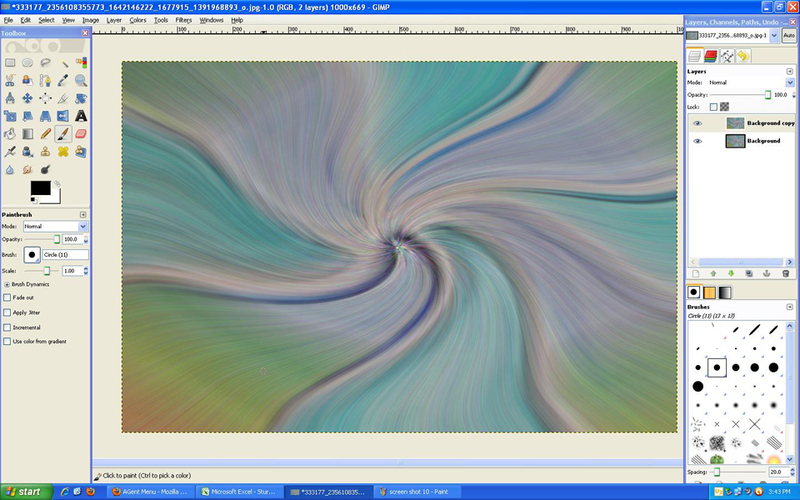 Now we are going to add some twirl to the photos. 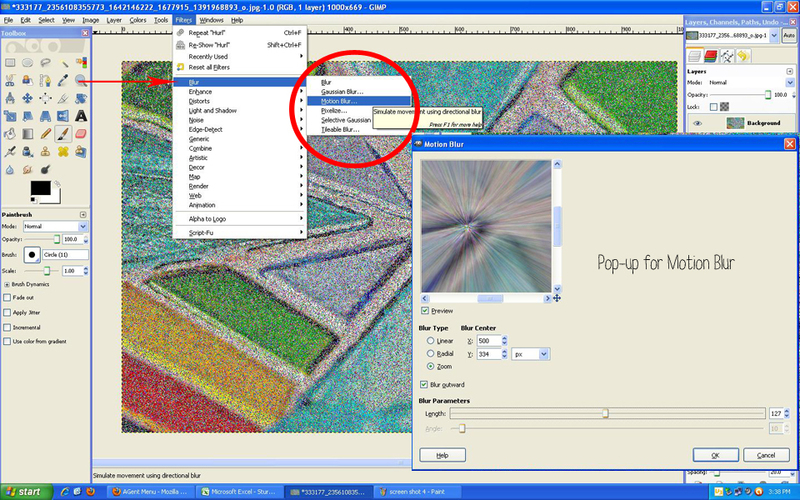 Make sure that the top photo layer is highlighted then go up to the filter tab again. From the drop down, you are going to select ‘distorts’ then ‘whirl and pinch.’ In the pop-up, you are doing to set the whirl at a number from 75 – 90 without adjusting the other settings. Click okay. This is how the top layer should look at this point. 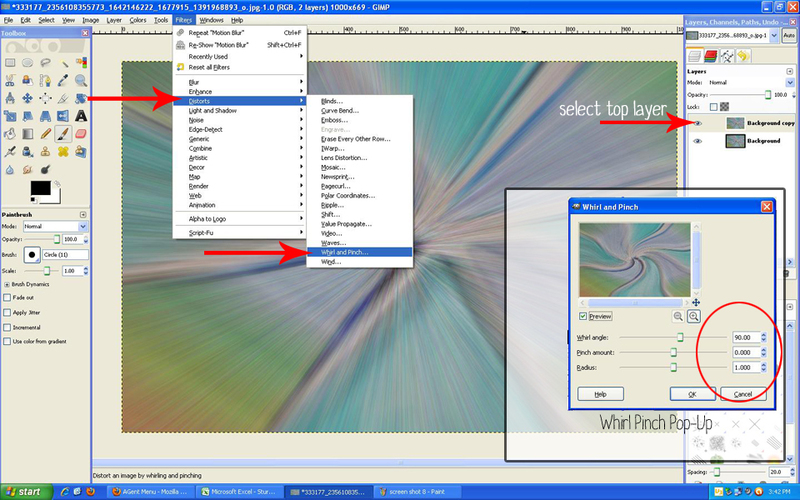 Now you are going to highlight the bottom photo layer and follow the same steps with one exception – you are going to place a – in front of the number that you chose for the top layer. Ta Da! Look what you did! 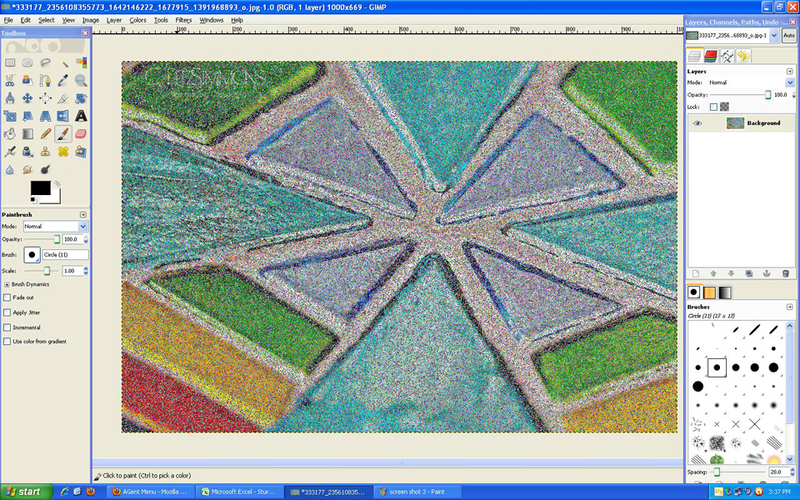 You can now tweak the sharpening and saturation to your satisfaction. 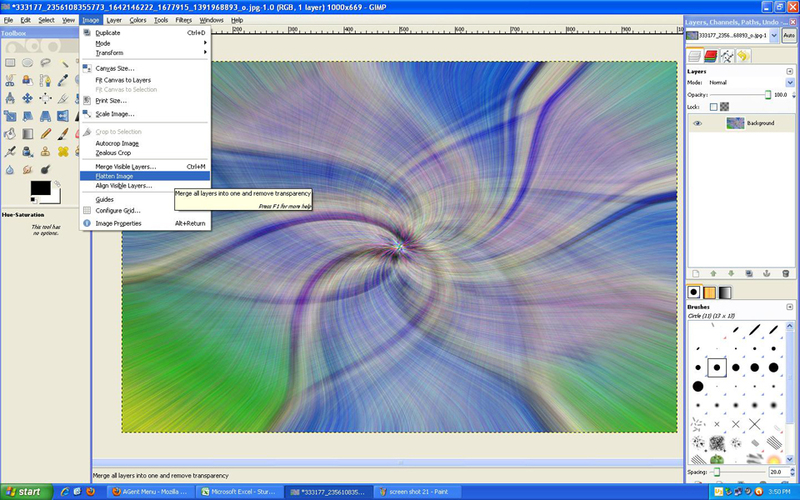 Filters, Enhance, Sharpen!Colors, Hue-Saturation!Adjust the sliders to your preferences! 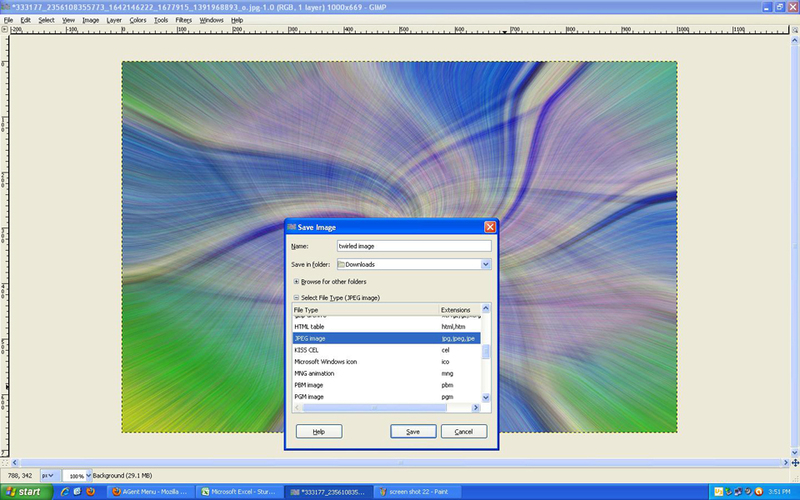 Before saving, you are going to ‘flatten’ the image. Your image is ready to be saved! 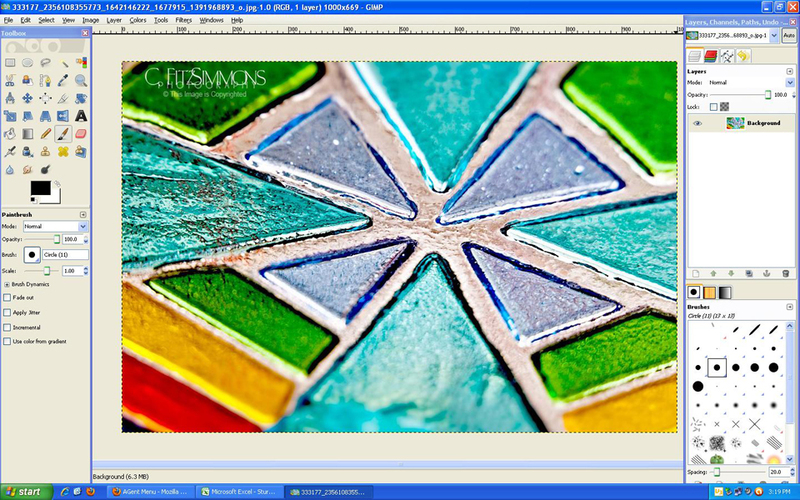 Once you get the hang of this, it is very easy to make an impressive abstract photo. I would love it if you posted a link to yours in the comments so we can see how it turned out. We were quite shocked, recently, when who should sparkle into our library but Edward Cullen?! His ghastly pallor was even more evident under the harsh fluorescent lights of the library and he looked a bit lost, to be honest. When he wandered over to the circulation desk to inquire about the possibility of doing a bit of community service, we were quite shocked, but it seems that even vampires like to help out in the community… So, we put him to work. We thought we would let Edward scan out a few books for an adoring fan. Can I get on a computer? Calling Bella to come pick him up. Just what could Edward be looking for in a refrigerator? !